The Ministry of Finance confirmed yesterday that the upcoming budget to be tabled tomorrow will be an interim one, ending weeks of speculation that the Modi government would flout election year tradition and go in for a full budget. According to official sources, the Budget documents will contain revenue and expenditure projections for the entire 2019-20 fiscal. In the past, a vote-on-account or approval for essential government spending for a limited period was taken in an election year ahead of a full-fledged budget presentation by the incoming government. That's because the Union government requires parliamentary approval to draw money from the Consolidated Fund of India to cover its expenditure as per the Constitution. But the budget approved by the parliament sanctions government spending only till the end of a financial year, or March 31. Hence, the purpose of a vote-on-account or an interim budget is simply to allow the government of the day to continue running till India votes. The upcoming budget will be the third interim one since 2000. While a vote-on-account only deals with the expenditure side of the government's budget, an Interim Budget is a complete set of accounts, including both expenditure and receipts, akin to a full budget. For instance, P. Chidambaram had presented the last interim budget of the UPA Government on February 17, 2014, while Arun Jaitley presented the full budget - and the Modi government's first one - five months later. From a moral standpoint, government ought to avoid introducing radical changes in an Interim Budget since it may not have the mandate for the next five years and, if there is a regime change at the Centre, the new government will have its own policy game plan. Nonetheless, past governments have often used this opportunity to woo voters and outline its economic policy vision for the next five years should it remain in power. Also read: Budget 2019 prediction: Farmer, middle class, small businesses to get big bonanza! For instance, in 1991, when then finance minister Yashwant Sinha presented the vote-on-account of the Chandra Shekhar government, he had announced the country's first policy on disinvestment. Then, the interim budget presented by Jaswant Singh for the Vajpayee-led NDA government in 2004 had merged dearness allowance with basic pay - a major sop to the salaried middle class -- and extended the exemption of long-term capital gains tax. He had also halved the stamp duty. More recently, in the interim budget in 2014, former finance minister P. Chidambaram had met the long-pending demand of the Armed Forces to have 'One Rank One Pension' (OROP), a key poll promise with an eye on the electorally significant community of veterans. He had also announced a subsidy for education loans and cut excise duties which reduced prices of commercial vehicles, passenger cars, two-wheelers as well as mobile phones. 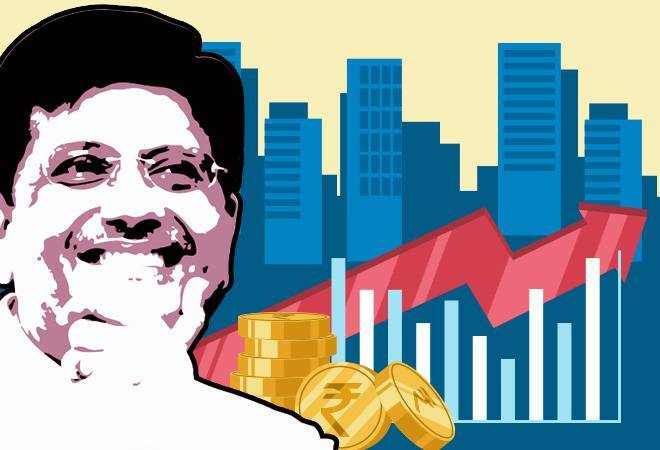 The buzz is that the Interim Finance Minister Piyush Goyal's speech tomorrow will similarly take the populist route. "After the failed budget promise of enhanced procurement of crops through a revised Minimum Support Price (MSP) formula in 2018-19, announcements made on February 1, 2019 will be the last opportunity for the government to woo a larger section of society through an interim budget, as against a vote-on-account, by altering both taxes and outlays on schemes," read a recent report by JM Financial Institutional Securities, IANS reported. Union Budget 2019: Fingers crossed on income tax exemption limit!